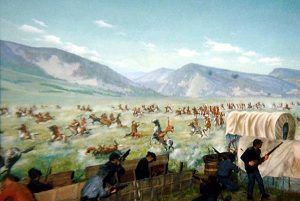 Before the state of Montana was carved into vast ranches, it was the last great hunting ground of the Northern Plains and called home to numerous Indian Tribes. 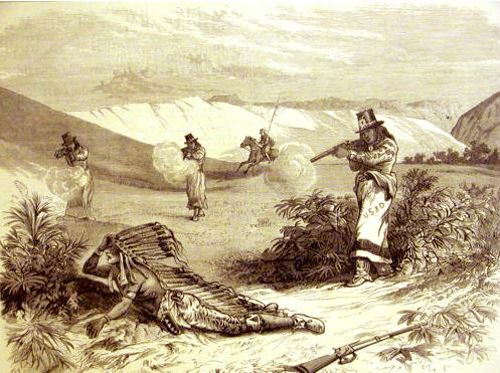 With Westward Expansion, the territory was threatened by new settlers and the Native Americans fought back. 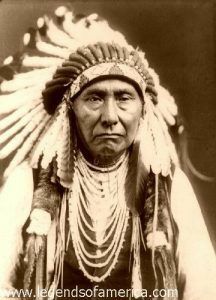 Montana’s Indian Wars can mostly be condensed into three groups: The Blackfeet Wars of northwestern Montana, the Nez Perce’s 1,170-mile march from eastern Oregon to Canada, and the well-chronicled Great Sioux War of 1862, the battles of which were led by Chiefs Sitting Bull, Crazy Horse, Dull Knife, Two Moons and others against the likes of Generals George Custer, Nelson Miles, George Crook, Alfred Terry and other cavalry leaders. These bands of Sioux and Cheyenne were the last holdouts in the northern plains against white incursion.